This is a guest post by Jena Ellis, who specializes in writing on the topic of Online Certification Courses. She can be reached via e-mail at: [email protected]. So you’ve finally hit that stage… You’re sending your kids off to college. This phase is one of the most important and trying times both for parents and children. Parents finally need to let go, and kids are moving on to an environment that will test their independence for the first time. While there are several factors to consider when selecting and applying for different universities, one of the most important thing to keep in mind is this: how much will it all actually cost? Once those college acceptance letters come rolling in, you’ll hopefully not have to pay full tuition, as tuition rates have skyrocketed in the past few years, going well past the rate of inflation. The good news is that many schools offer generous financial aid packages, though such packages often include large student loans. 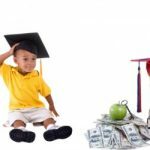 Once you’ve deciphered all the different financial aid packages that accompany the acceptance letters, you should begin putting together a personal budget before you and your child make any decisions. 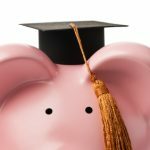 While financial aid packages will usually approximate how much the costs of living are beyond tuition, room, and board, these estimates often fall well below the mark. Books and other learning materials are one very big cost of attending a university. Even at used book stores, textbook prices can be exorbitant. Caution your child to shop around and make sure to check online used book retailers like Amazon and eBay. Textbooks that sell for $150 at the campus bookstore can often be had for $40-$50. The only unique thing that offline stores offer is convenience, but if your child plans ahead, they can get a jumpstart by ordering their books in advance. It’s also worth noting that new federal regulations will improve transparency when it comes to the pricing of textbooks. Another cost that parents and students don’t really plan for are the personal costs associated with an enhanced social life. This can be especially costly at higher end private universities. In high school, students mostly socialize at each other’s homes. At college, however, the rules change. When the on-campus cafeteria gets old, many students will want to go out to eat, which fills the void left by not having home-cooked meals. Entertainment options also broaden in scope, as do extra-curricular activities like camping trips, fraternity and sorority fees, etc. 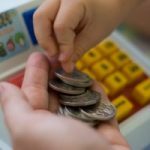 While it is important to set a limit for your child’s extra spending, it is also important to remember that the social aspect of attending college is an important dimension. When estimating the associated costs, be sure to also keep in mind the city where your child is moving. For example, the social costs of attending school in New York City will be significantly more than in, say, Houston. In the final analysis, it’s important to be completely aware of all possible college costs. Whether your or child will be footing the bill for college, this is a huge financial decision. Choose schools wisely and plan ahead. Will I be able to deduct transportation costs, hotel fees, & expenses paid when visiting my daughter’s college during the year. Will I be able to deduct transportation costs, hotel fees, & other expenses paid when moving my child in to an out of state college. And if yes, what expenses will I be able to deduct on taxes. presumably, your child has had some experience with money and budgeting by now. Allowances, odd-jobs etc etc. Beyond direct school expenses and basic living costs, the child should figure out all the other stuff on his/her own. Child wants to eat out? attended events? Get a job! It’s all part of the learning experience! 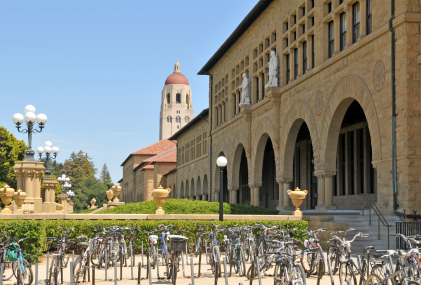 Speaking from experience, I can say that one of the best ways to save money on college social life expenses is to take advantage of all the university has to offer. Our campus radio station received hundreds of free movie tickets that they gave out to students, so I never paid for a movie. There were all kinds of on-campus barbecues that were free for students, a great way to socialize over a non-cafeteria meal. Informational speaker nights were fabulous, my friends and I went to see Dr. Cosby speak about life and literacy free of cost. Really, it’s a great chance for a young person to become resourceful. Entertainment in college doesn’t have to be all keg parties and pub crawls. It’s just a matter of staying informed and keeping an open mind.